Tonga Skills in partnership with Tonga Business Enterprises Centre (TBEC) and Australian Pacific Technical College (APTC) launched the first group of students completing a Certificate IV in Training and Assessment. The training will be divided into three blocks and students will attend classes spread across two weeks. Training will be held between September 2017 and January 2018. Tonga Skills collaborated with the Tonga Association of Technical Vocation Education and Training (TATVET) to select the final 20 participants who will undertake this training. Participants are teachers and trainers from formal registered Tongan training providers as well as emerging ones. Tonga Skills is working closely with providers to encourage flexible and inclusive training and development environments. 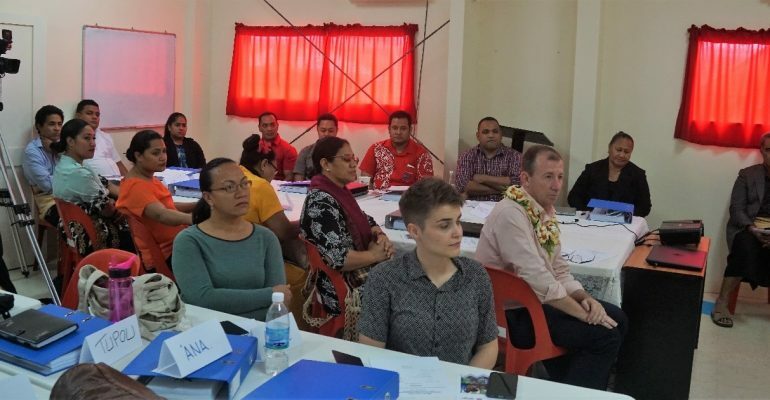 The Head of Mission for the Australian Government, HE Andrew Ford stated that this TAE Certificate IV is a highly recognised qualification in Australia and hopes trainees “will use these skills to build up this country, right here in Tonga”. Graduates of this training will be change agents in their own work-places.